Season Five’s Invitational is our first Invitational of Set 2: Omens of the Past! We’ve already seen some balance changes shuffle things up, and the meta of our Invitationals always takes a bit of a shift from our regular season. As usual, there’s $250 and a ton of Series Points on the line – and we’re winding down to a close, there’s only one more season before our World Championships, with a Prize Pool of $3000. The winner of each Invitational gets a direct invite and the players that make Top 12 earn Series Points, which help them qualify for the event. One of our most requested segments for the Invitational is a real Pre-Game show, and we now have enough casting staff that we can pull that off. I’ll be joined by Sir Rhino, starting at 11:15 AM EST before both days of the Invitational on the RNGEternal Twitch channel. We’ll be discussing the players, their decks, and the meta trends of the event. 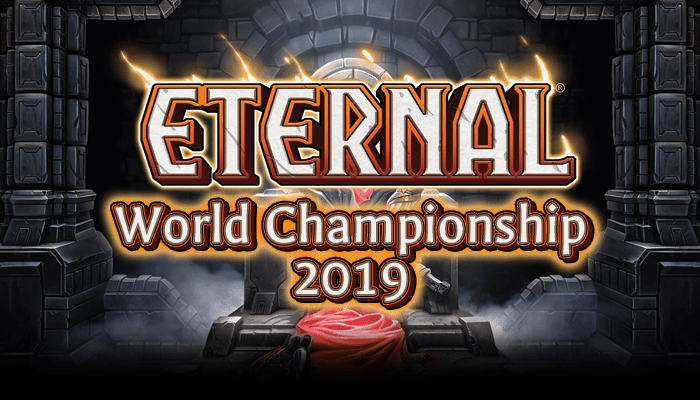 The tournament is streamed live on RNGEternal’s Twitch channel over the course of two days. Day One action starts at 12pm EDT on Saturday, August 26th, and continues until only 8 players remain (after Winner’s Bracket round 3 and Loser’s Bracket round 4). Day Two picks up where Day One left off – except instead of covering rounds, we’re going to be covering every single match! Day Two begins at 12pm EDT on Sunday, August 27th. The whole tournament will be uploaded to the RNGEternal Youtube by Tuesday, August 29th. With ties broken by Invitational Points, then Series Points, then if players are still tied, a random order is chosen. Angrychicken – While Angrychicken hasn’t had the strongest regular season this season, he’s another player that’s done extremely well in our Premiere Events. So far, he’s 2/2 on making it to the finals of Invitationals – Can he be the first repeat winner? Bradykin – Bradykin was one of my on-the-bubble picks for S4I and I didn’t pick him, then he made Top 6. I think I owe it to him to give him the nod this time. He didn’t play many events this season, but he’s had strong runs on average and I think he can make it deep. camat0 – An old-school ETS veteran of Seasons 1 and 2, camat0’s come back to smash the back half of Season 5’s regular season, winning an event and taking 2 top 4s beside. His signature deck of the last month or so of ladder and ETS was nerfed – but then he came back with a new deck and won the last ETS of the season. He’s also our point-leader for S5, earning 25 Invitational Points this season, compared to 20 points to his nearest competitor. He’s running hot. Kcnabrev – Kc showed up, top 4’d a weekly and won a weekly, proving the strength of Praxis, then left for the Taiga (… or maybe the Plateau?) to hone his skills. Is he a Praxis one trick? Were his performances a fluke? I don’t think so. lv13David – David is an old hand at tournaments, having been an on and off player since the Scion’s League days. While he didn’t quite make Top 8 at the last Invitational, he has a strength that may have flown under the radar – he may be one of the best brewers in the game. He’s made it to the finals in 3 of the last 4 For Fun Deckbuilding challenge events we’ve run. And while this isn’t quite a completely new meta, I think there’s a lot of room left for brewing and innovation to shine. Paradox – Paradox is one of our few dedicated aggro/burn players, and knowing the previous Premiere Tournament metas, the decks tend to go Bigger and Durdlier. I think Paradox can take advantage of that and leave a burning trail through the bracket. Sadly, his round 1 is against his teammate, and one of the players I usually predict for top 8 – HiThar! If it weren’t for one of them sending the other to the first round of Loser’s, I’d probably have them both. Tatsumaki – This one is a bit cheating, I must admit. I was looking at the response form to see how many submissions we had and saw Tatsumaki’s deck and knew I had to include him. And yet, he was already in my “bubble” of consideration, so I’ll allow it. Unearthly – One of two players to have played in every ETS Invitational, Unearthly has shown, every season, that he has what it takes to make deep runs in Premiere Tournaments. I expect a similar performance this time around. Will this finally be his season to take home the crown? These predictions ended up… oddly similar! We don’t discuss these, I swear. Directly, anyway, but as we end up discussing the ETS a lot, there’s certainly some influencing of opinions going on between the behind the scenes staff.